While fancy holiday meals take center stage, the supporting cast, especially the appetizers, should not be forgotten. In our case, we happen to love an all-appetizer meal, long since dubbed "Finger Food Night" by my own two munchkins. We even do a whole Christmas Eve appetizer feast with my family, to make time and room for Christmas Day's large turkey and ham dinner. Are you stuck in an appetizer rut? 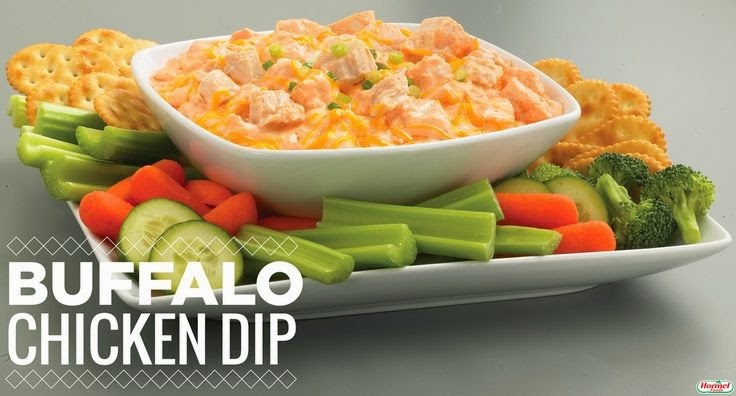 Tired of the same old veggie tray and cheese tray and dips? 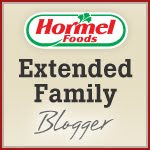 Hormel can help! Bacon and Bleu Cheese Crostinis: Give your appetizer selection a bit of flair with these bacon and bleu cheese crostinis. Elegant and flavorful, each crostini is a mouthful of generous portions of Hormel's Fully Cooked Bacon and cheesy goodness. Cherry Almond Ham Bundles: Traditionally the starring dish in holiday meals, ham can also be a featured ingredient in other parts of the meal! Treat your guests to a delectable and unique appetizer like these Cherry Almond Ham Bundles featuring Hormel's Cure 81. 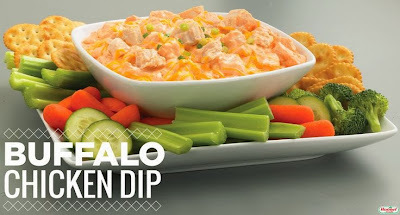 Buffalo Chicken Dip: Spice up the party with this easily shareable and crowd pleasing dip filled with Hormel Chunk Chicken Breast. It's perfect to pair with breads, chips, crackers and veggies. What's your favorite holiday appetizer? Feel free to share the recipe, we're always looking for great Christmas Eve dishes!